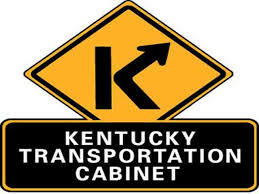 PADUCAH, Ky. (September 24, 2018) – The Kentucky Transportation Cabinet (KYTC) is alerting drivers to be prepared for deer on the move during the last three months of the year. The combination of fewer daylight hours and cooler evening temperatures cause deer to emerge earlier than normal this year. Kentucky is 15th in the nation for deer-vehicle collisions with drivers facing a 1 in 100 chance of hitting a deer. In 2017, more than 3,200 deer-vehicle collisions were reported to police agencies across Kentucky. This is slightly more than the 3,100 collisions reported in 2016. The number is likely higher as since not all crashes are reported. KYTC is joining area law enforcement agencies to remind motorists to be alert for deer on the move as the fall harvest and mating season begins. In Kentucky’s 23 westernmost counties in District 1 and District 2, eight counties are in the Commonwealth’s Top 20 for reported deer-vehicle collisions. That number expands to 12 if the Commonwealth’s Top 40 counties are considered. In District 1, Calloway, Graves, Trigg, Marshall, and Lyon Counties were in the Top 40 for deer collisions for 2016 and 2017. KYTC District 1 & District 2 spokesperson Keith Todd attributed the position of those counties on the list to a substantial deer population and a high number of four-lane interstate and parkway miles. In addition to causing damage to vehicles, deer contribute to more than 100 injury crashes and about three highway fatalities in Kentucky each year. Annually, deer are responsible for roughly 200 traffic fatalities across the nation. The increase in deer-vehicle collisions usually starts in early to mid-October when farmers ramp up fall grain harvesting. The harvest reduces both food availability and availability of concealed habitat for the deer. Increased activity during deer mating season causes the animals to stray from their normal travel patterns, pushing them into residential neighborhoods and urban areas with higher traffic numbers. Keep headlights on bright unless other vehicles are approaching. Drive defensively, constantly scanning the roadside, especially at dawn and dusk when deer are more active. Slow down immediately when you spot a deer crossing the roadway ahead, as deer tend to travel in groups. Don’t swerve to avoid a deer–Swerving can result in a more serious crash with an oncoming vehicle or roadside object. In the event of a crash, keep both hands on the wheel and apply brakes steadily until stopped. According to State Farm Insurance, the national average cost per deer collision claim for 2017 was $4,179, up from $3,995 reported in 2016. Motorists are asked to report all deer-vehicle collisions to police so locations so crash numbers can be recorded and monitored, allowing KYTC to place signage and/or take counter-measures to reduce deer-vehicle crashes.